You do not have to be an art historian in order to understand the significance of Baroque for art in general (including contemporary art as well). 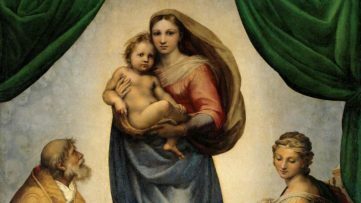 This style began around 1600 in Rome, Italy, and spread to most of Europe, and it is celebrated as one of the most significant period and style in art history. Even today, and within contemporary art, Baroque influences many artists. Spanish artist Jesús Herrera Martínez is one of them. 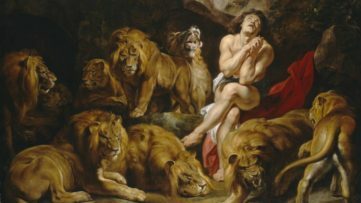 His work represents a celebration of the famed sixteenth century cultural movement, while his exhibition at White Noise Gallery in Rome will be a perfect opportunity for those who like Baroque and it´s style to enjoy in some great works. Jesús Herrera Martínez was born in Alicante, Spain, in 1976. He had a number of solo exhibitions, and was presented in several leading world art fairs (SP-ARTE for example). 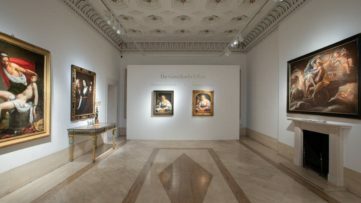 The show entitled Hyperbaroque will be the artist´s first solo exhibition in Italy, just after his experience at the Spanish Royal Academy in Rome (in May, we wrote about the exhibition of Mar Hernández at White Noise Gallery, a Spanish artist who also finished the residency at the Spanish Academy of Rome). Martínez is focused on different aspects of the pictorial composition of an image, and on further representation of the composition. 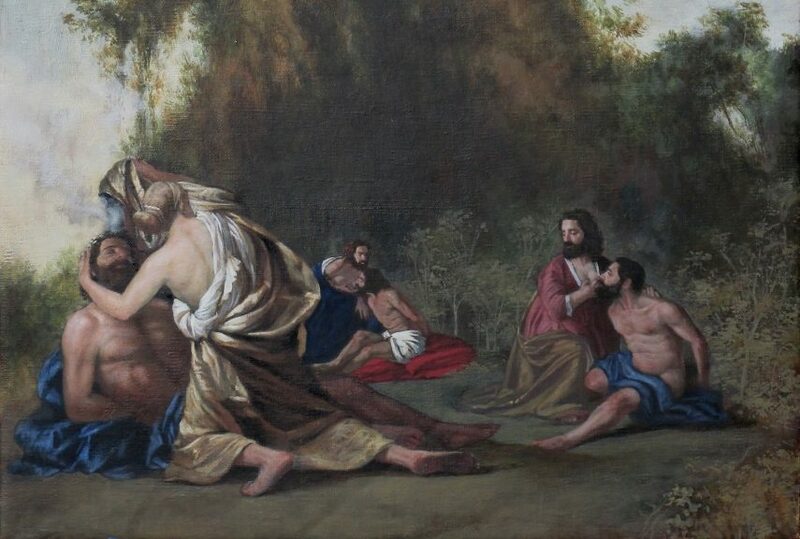 He examines different techniques and methods of the representation of narratives operating within the painting. The artist uses this technique and style in his series of works which represent the quintessence of Baroque theatricality in its most splendid academic and classic expression (that will be exhibited at White Noise). Jesús Herrera Martínez approaches the Baroque with profound irony, provocation and a faintly exhibitionist air of punk culture. In his hands, representations of parables, miracles and still life, which would be the pride of any sixteenth century picture gallery, succumb to surreal incursions in the vein of Terry Gilliam which immediately catapult them into the contemporary world. Jesús Herrera Martínez´s work plays on the tendency of the Baroque to unsettle viewers with its spectacle and illusion, often creating visual Chinese boxes to do so: the viewer’s attention is captured by small views in oil of the Grand Tour, painted as a trompe-l’oeil, which become improbable postcards hung on walls. 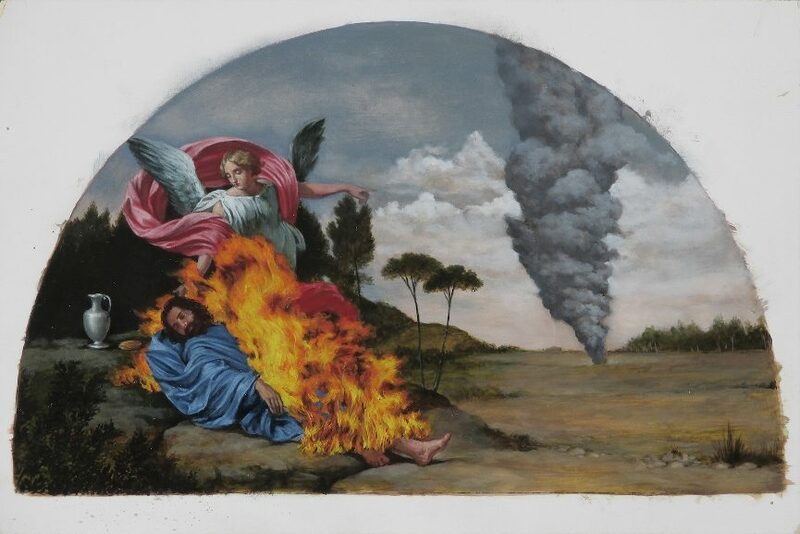 In other works, the figures depicted in the sacred scenes, so dear to Italian pictorial tradition, are surrounded by Hollywood explosions of style and are nothing but the recurring and paradoxical representations of the same subject: the artist. 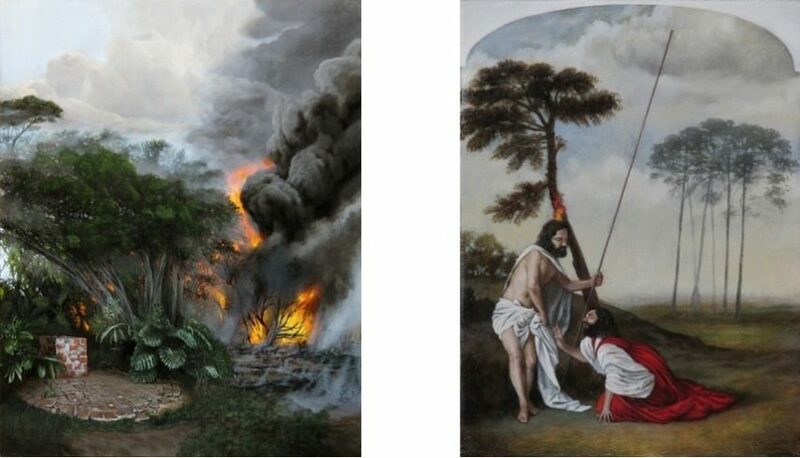 His small oil paintings are continuation of his work at the Academy, while his larger canvases play on the contrast between the perfection of technique and the audacity of the message which is the essence of Mannerist art. This exhibition is the ideological culmination of the Roman adventure of this great Spanish artist. The show is curated by Eleonora Aloise and Carlo Maria Lolli Ghetti. Finally, isn´t Rome a perfect place for an exhibition entitled Hyperbaroque? (check out our article about galleries in Rome you should visit). Jesús Herrera Martínez’s exhibition offers a surreal and spectacular tribute to a cultural movement which made Rome the center of the world. The show will be on view from September 19 until October 24, 2015, at White Noise Gallery in Rome, Italy. Create your profile via My Widewalls for FREE and stay informed about the upcoming exhibitions! All Images courtesy of White Noise Gallery.